It’s very common to be in a situation where you want binoculars for one eye only. Maybe you have good sight only in a single eye, or you just want a smaller lighter device. Whatever the reason, it just doesn’t make sense to get full-blown binoculars in that case. What’s a monocular? How do you buy one? In most cases, a monocular is quite literally half of a binocular. It’s basically one optical tube, sometimes with a protruding bit with a focusing wheel. 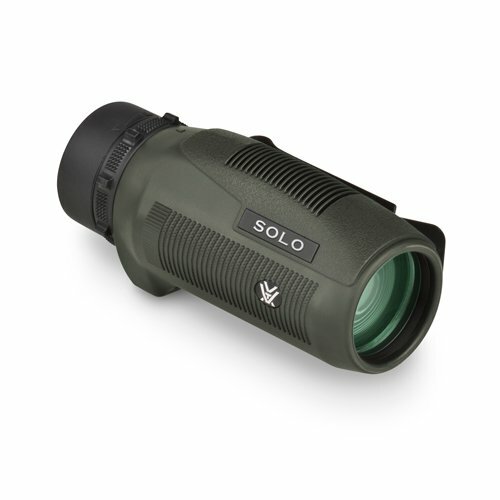 They are produced the same way as binoculars and most of the stuff that describes the optics is analogous to binoculars. You will have a very hard time keeping the view steady without support. You will have a very narrow field of view. The image will be dim because you’re essentially collecting light from a very small area. So, go for 8x or 10x, maybe 12x max. That’s just about right for the vast majority of situations. That’s the diameter of the big lens in front, in millimeters. What you need to know is: the bigger the lens, the better light gathering capabilities the product will have and the bigger and heavier it will be. It’s a tradeoff. 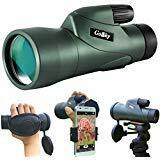 The Gosky 12×55 HD Monocular is a great example of a device with a big objective and powerful magnification. By the way, it includes a smartphone adapter, so you can use it to take pictures with your phone – essentially like a high-powered camera lens. You know the cliché – you get what you pay for. Frankly, if you want your optics to be actually useful, you’ll need to spend a bit. It all depends. Cheap Chinese models may work, but they will give you nowhere near the viewing pleasure of a higher quality product with good optics. Let’s give you some idea of what to expect. You will be able to use this mono for almost everything, though don’t expect the same brilliant optics as somewhat more expensive items on the market. 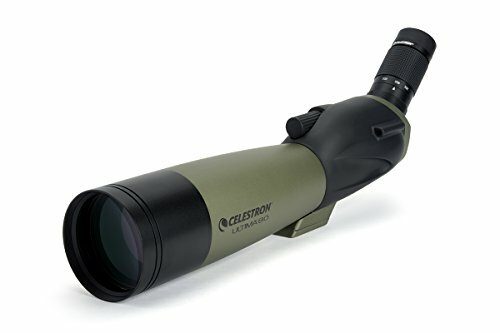 When you’re looking for the best binoculars for one eye, it’s possible that what you really want is actually a bigger device called a spotting scope and you just didn’t know the name. Bigger monoculars are usually called spotting scopes. 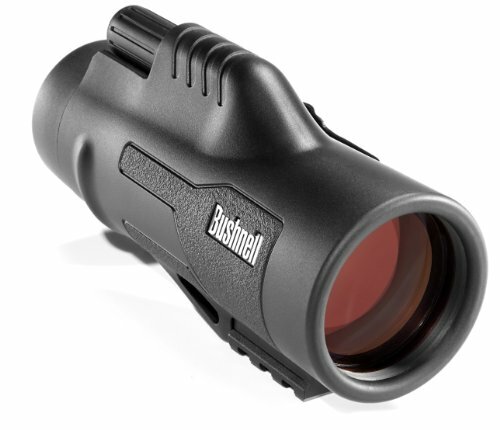 They have higher magnification, larger objectives and are generally significantly bulkier tools – don’t expect to drop these in your pocket and set off on a trek. 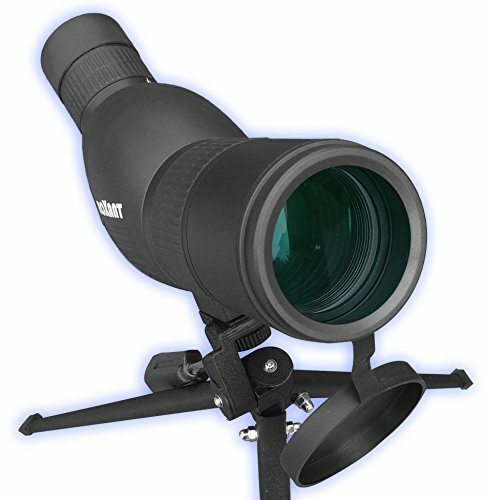 A good spotting scope is a fantastic tool for long distance observation, and as such it will usually require support, such as a tripod. Big and powerful, with an 80mm lens, the Ultima above will take your long range viewing to a whole different level. Okay, it’s not some hotshot super-expensive product, but it’s very highly rated for its price and a very nice device overall. Have a look at people’s reviews over at Amazon, they reveal quite a bit about the products in question. 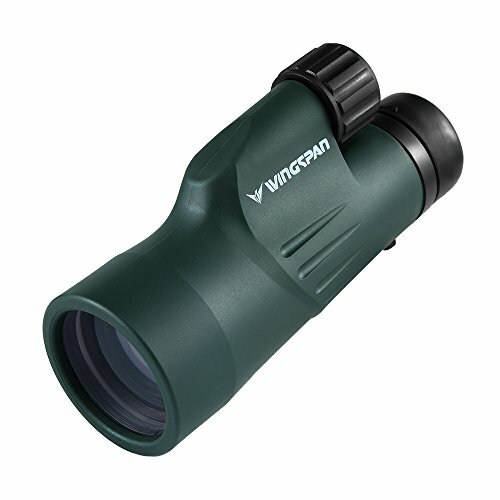 If you came here looking for one-eyed binoculars, I hope I have given you a decent overview of what options you have and what you need to know to get the best deal for your money. There’s of course a lot more that could be covered, but I think, with this knowledge you’ll be well on your way towards getting some nice optics that suit your needs.